NBC aired the 30-second prime-time ad in the middle of a highly anticipated “Sunday Night Football” broadcast, but said Monday that it would stop running the ad that had previously been rejected by CNN as racist. Fox News and Facebook also took action. An ad created by President Donald Trump’s campaign committee tying together Democrats, a notorious murderer and a caravan of asylum-seeking migrants in Mexico embroiled NBC in controversy overnight, prompting the network to backpedal and pull it from the air. “After further review we recognize the insensitive nature of the ad and have decided to cease airing it across our properties as soon as possible,” NBCUniversal said in a statement. 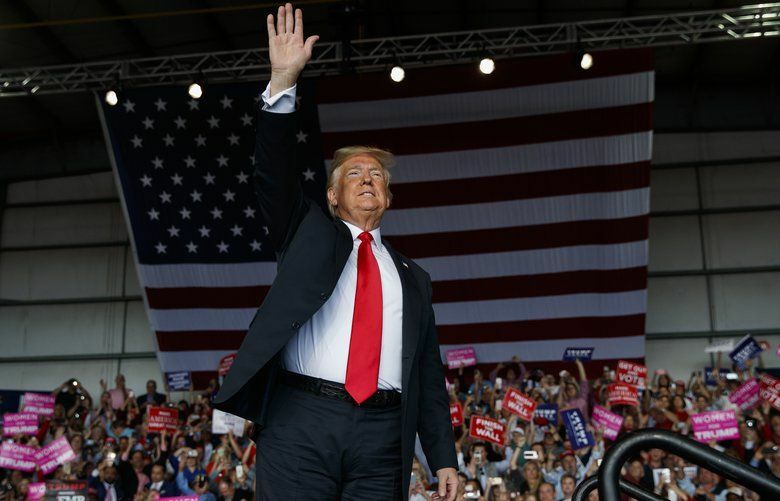 Even Fox News, which has made the caravan a staple of its midterm elections coverage, announced that it had decided Sunday to stop running it, and Facebook removed the ad, which had been targeted at users in key electoral battlegrounds like Florida and Arizona. Trump, speaking to reporters Monday before boarding Air Force One, said he was unaware of the controversy. Trump also dismissed the complaints over the ad. The 30-second ad that aired stirred fear about a migrant caravan of asylum-seekers slowly making its way through Mexico that is still hundreds of miles from the U.S. border. It tied Luis Bracamontes, a Mexican immigrant in the country illegally who was convicted of murdering two Sacramento sheriff’s deputies in 2014, to the thousands of migrants who are fleeing Central America, even though Bracamontes is not known to have any association with the caravan. 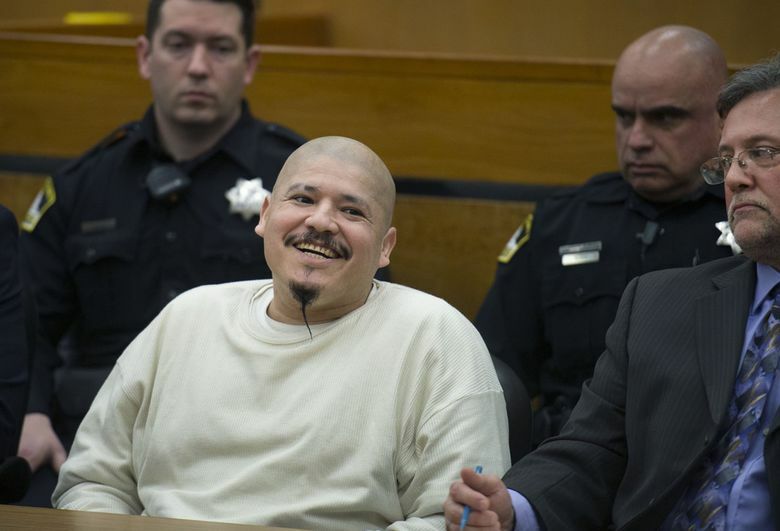 “Dangerous illegal criminals like cop killer Luis Bracamontes don’t care about our laws,” the ad said. It was a shorter version of an ad that the president shared on Twitter last week, which falsely claimed that Democrats let Bracamontes “into our country” and “let him stay.” That longer version of the ad, which Trump featured as a “pinned tweet” atop his Twitter page, has been viewed more than 6.4 million times. The ad aired once, on “Sunday Night Football,” and three times on MSNBC, a spokesman for the network said.